Hospitality management is any area that focuses on management in the hospitality industry, which includes restaurants, nightclubs, hotels, and resorts. These programs are also beneficial for those who want to work in venues such as music or sports arenas. Hospitality is an industry that continues to see growth despite economic woes. Those working in hospitality usually change employers somewhat regularly depending on the trends in the business. Most students specialize in one area of expertise when studying for a bachelor’s degree in hospitality management, but you are equipped with the skills to work in any upper level position in hospitality. This degree revolves around working hands-on with clients, as well as leading teams large and small to provide the best customer service and create an exceptional experience for patrons. 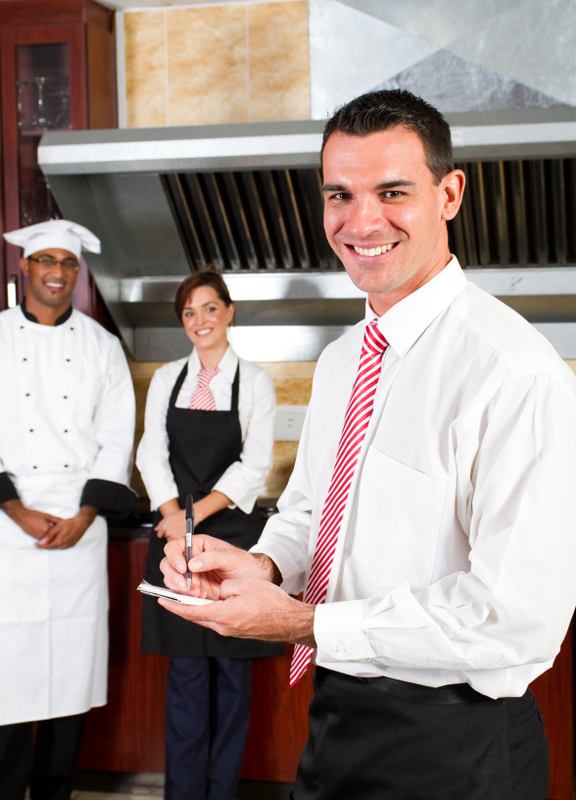 There are several different hospitality management degrees. Bachelor’s degrees can be had in a BA of hospitality management or a business administration degree with a focus on the hospitality industry. There’s also a Master of Science and a Master of Business Administration in Hospitality Management. Most upper-level management and top executives in the field end their degrees at the master’s levels. Programs are available at the doctoral level, but are typically sought by those who want to go on to teach in the hospitality realm at the university level. You ca learn more about each degree level and the various areas of specializations below. All of these degrees for hospitality management are available through online schools and traditional programs. Many jobs in the hospitality industry do not require a degree, but once you reach beyond the basic supervising positions, you have a better chance of getting an upper level management job when you have an education. The hospitality industry relies heavily on experience, which makes the combination of years in the industry with a degree integral to your success. Requirements for a bachelor’s degree program in the field include a high school diploma or GED. Most programs do not require a student have experience in the field, although students can work in entry level positions while they attend school. Some students have experience from entry-level positions worked through high school and college, or through a family business. There is a trend among returning students who work full time in hotels and bars, but wish to move up to a management position or higher within large companies. These students often return to obtain a bachelor’s in hospitality management and are able to apply the new material on the job. For obtaining a master’s degree in the subject, students are expected to have a bachelor’s in hospitality management or a related field. This can include business administration, communications, the culinary arts, or marketing. Some programs also require a student work for at least a year before applying to a master’s program in the field. A letter of recommendation and essay are also required by many programs. Students are also required to take the Graduate Records Exam (GRE) which gauges how well they will do in grad school. Most programs require students to submit GRE scores along with their graduate school application. Scores are sent directly from the testing center to the programs of your choice, which you designate prior to taking the exam. Most students apply to anywhere from three to five different grad programs. Some online master’s in hospitality management programs may allow you to bypass the GRE, but it is not common. Keep in mind that requirement of GRE scores is a good sign from the learning institutions you’re considering. The GRE is required for nearly every grad student in the country. The GRE is administered at testing centers throughout the year. You will have the opportunity to retake the test, which is why it’s important to sign up for the test as soon as you can. Retaking the test allows you to submit new scores to potential schools. Many of these programs are available through online extensions, and these programs are almost as competitive. Established programs offer you alumni contacts and resources that you will not find from every school. Prep work for the GRE can be done with tutors, other students or online, where there are many free resources to help you get a feel for the exam’s structure, time limits and wording. Who Should Write My Letter of Recommendation for Hospitality Management? If you have experience in the hospitality industry, any supervisor past or present can write your letter of recommendation. Ideally, it should be someone who knows you on a professional level and is willing to discuss your work ethic in a polite and honest manner. Most of the time, you will have a chance to look over the letter to ensure it says what you want it to say. Ultimately, the letter is delivered with the application to the learning institution in a sealed envelope. Graduate panels are most concerned with your experience in the field. For some grad programs in this field, a bachelor’s degree is not enough and it’s required students work at least a year before starting the application process. This is one area many students want to work in. It is a field that is more difficult to gain experience in than catering or bartending. Event management involves overseeing an entire event and in some cases, taking that event from start to finish. This is an area of hospitality where creativity, as well as strong strategic and logistical skills come into play. Event management can involve working on promotional events for a product or sports team, or revolve around designing a wedding and overseeing the project until the couple is off to their honeymoon. Event managers are needed on a large and small scale, and it’s an area of hospitality where a person can experience significant career growth. An event manager may start out managing small community events for non-profit organizations and go on to run a major organization that plans events for corporations and large venues. Within event management, there are other areas of expertise such as hospitality marketing management and catering management. In this position, a person works overseeing the lodging at a hotel, resort or other hospitality facility that sees guests. Lodging operators work with logistics and efficiency, managing everything from staff to implementing new protocols for productivity improvement. Those working in lodging operations also work with budgets and accounting, and in some instances, may work directly with customers. Lodging operations managers are needed around the globe. The top positions in lodging management are very competitive. Large companies like Wyndham, The Walt Disney Company, and Marriott offer extensive internships that allow a student to immerse themselves in lodging operations for the summer season. To apply for these programs you do not have to be enrolled at a traditional school. The only requirement is that you’re in school. Many of these internship programs are only available to hospitality management students who are in the second half of their program and out of the basic core courses. Working in this field, students typically have a culinary background or have worked in the hospitality industry in food prep and cooking for a number of years. Food preparation is one of the most essential parts of the hospitality field. Students can specialize in areas such as sanitation, food prep, or beers and wines. 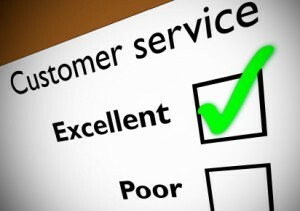 Hospitality managers in food are needed by companies of every size who feed customers as part of their visit. There is a high turnover rate in this position, which means those who are qualified in the field regularly have the option of moving to a more desirable job, which may be based on location or pay. Under restaurant and hotel management, food preparation is the next most popular area of specialization for hospitality management students. There are many accredited online hospitality management degree programs for students to choose from. When looking at schools, the most vital thing is that the program is accredited. You should also meet with a school advisor about the experience of the staff and how online courses work at that particular learning institution. Schools with traditional campuses often have more resources for students, but online programs make it simple for those who work full time to finish a degree. Some programs accept prerequisite core courses. If you have a few semesters of college behind you, you may inquire about having those courses honored for credits towards your bachelor’s degree in hospitality management. Nearly all accredited schools are willing to accept transferred courses within a certain window of time. Participating in an online program, you’re still eligible for internships. When filling out applications, be sure to include your education history, as well as your full work history when it’s relevant. Top hotels, resorts, and venues are looking for those with experience at all levels of the hospitality industry.